Make your buying process fast and easy. NuOrder lets you find new brands and easily connect with the brands you want for your retail business. Browse brands by category, price point, or trade show to find the perfect labels for your store. Plan your show visits — ditch the paper and join the wholesale revolution with stress free retail order management. New to Springboard and ready to give it a try? Have questions about Springboard POS and NuOrder? Let's talk! 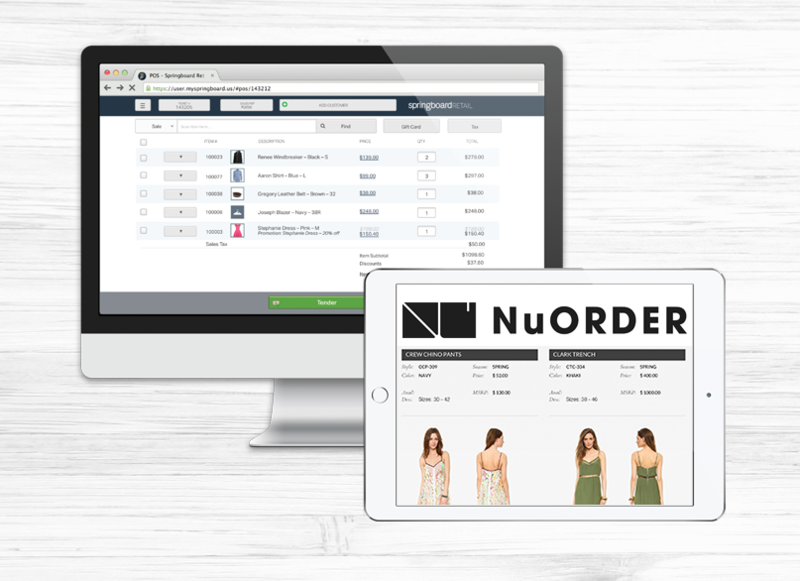 Already a Springboard Retail POS customer and ready to integrate with NuOrder? Simply LOG IN now!